Guy Molinari, a former Republican Congressman from Staten Island spoke about how he learned early on of Gingrich's hypocrisy. "In order to get the assignment, I had to get the agreement of six senior Republican congressmen on the committee," said Molinari. "Seniority was everything in Republican committee assignments at the time. Five of the members I trusted and spoke with them getting their agreement. 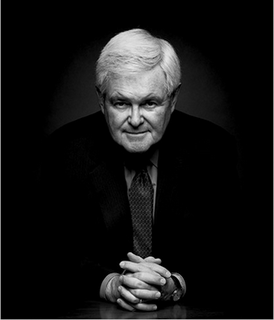 The sixth was Newt Gingrich, who had two years seniority on me in the House and who I didn't really trust." Molinari spoke with Gingrich and, according to Molinari, got Gingrich's agreement for Molinari to be appointed to the sub-committee. Molinari followed up that conversation with a written agreement between he and Gingrich acknowledging Gingrich had no desire to serve on the Investigation and Oversight sub-committee and agreed to Molinari's assignment to it. "I heard a rumor Gingrich was going to bump me from the sub-committee and I went to him about the written agreement," said Molinari. "Initially, he denied we had the written agreement, but, after I sent him a copy of the agreement, he said too bad, but he was still bumping me from the sub-committee." "That was when I learned that I couldn't trust Newt," said Molinari. "He was a man who didn't care about a written agreement with a colleague." Molinari's daughter, Susan Molinari, won a special election in 1990 to fill her father's remaining term in the House. She was re-elected three times and served until June 1997 when she resigned after becoming uneasy with the ideological atmosphere in the House leadership under Speaker Newt Gingrich. Hume said just 16 hours after his article on the coup appeared, "Armey stood before all of his fellow Republicans in a closed-door meeting and denounced The Hill in general and my story in particular. But no sooner had the word "trash" come from his mouth than a crash came from the back of the room. One of the rebels intimately involved in the coup, Lindsey Graham of South Carolina, knocked over a chair in a rush for the microphone to set the record straight before being forcibly restrained by another Republican." "Newt Gingrich accused my son-in-law of starting the plot to succeed him and that is absolutely not true," said Molinari. "In the aftermath, however, Bill became so disgusted with the House leadership that he ultimately resigned his seat." That aftermath had tragic consequences. According to a 2004 book, "Rome Wasn't Burnt in a Day," written by former Florida Congressman Joe Scarborough, Armey went to great lengths to destroy the career of Sandy Hume catching Bill Paxon in the crossfire. Hume committed suicide on February 22, 1998. After his suicide, Armey, according to Scarborough, spread rumors about a gay affair between Hume and Paxon. Paxon resigned his seat three days after Hume's suicide. Asked about the rumors about his son-in-law and Hume, Molinari said, "Many of us thought Gingrich was the author of the charges (of the gay affair). That was typical of the kind of thing Gingrich would pull." "Bill was so disgusted about what was being done to him by his supposed colleagues that he just quit," said Molinari. "I can guarantee you as his father-in-law, there was nothing to those rumors and Bill is definitely not gay." It is interesting that Gingrich, Armey or both chose to use a gay charge against both Hume and Paxon. 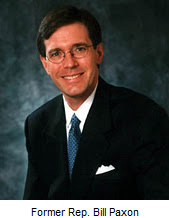 Gingrich has called being gay "an abomination" and supports the Defense of Marriage Act that prohibits gay marriage, yet one of his top political lieutenants, Joe Gaylord is known as being gay among top Republicans. "I have no idea why Gingrich was going to a gay bar," said the operative. "I was a huge fan of Newt when he agreed to come to the fundraiser, but, seeing him up close and driving him around was a huge letdown. He is a total and complete phony." 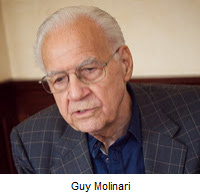 "Because we are at a critical time in our country and we need a real leader very badly, I feel morally I'm obliged to come forward and tell what he (Gingrich) has done," Molinari said. "So many stories are coming out — stories where Gingrich violated his promises. He's a great masquerader. He'll lie and he doesn't care." "It doesn't matter what I do," Gingrich told Marianne. "People need to hear what I have to say. There's no one else who can say what I can say. It doesn't matter what I live."